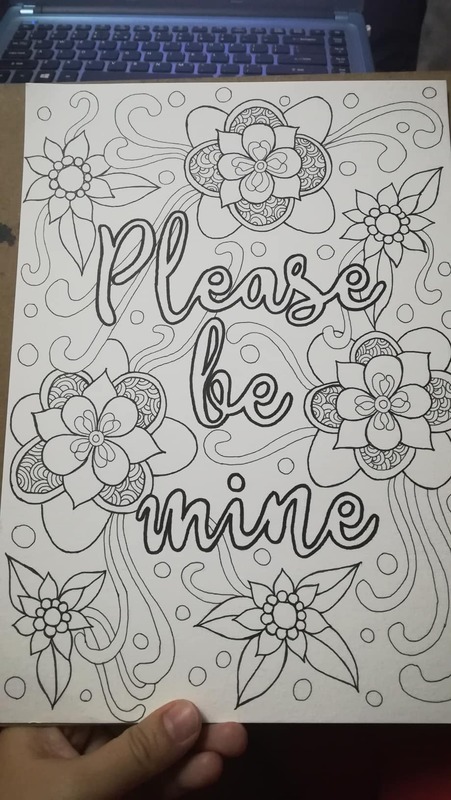 “Please Be Mine”, the fourth drawing in my Valentine’s Day art series. I wrote about this drawing in a previous post: New Work-In-Progress and Other Things. I used watercolor pencils, watercolor markers, and metallic tempera paints. It was the first time I used metallic paints and I love it very much! I found this paint set from Master Series (a Thai based art company) in an art shop not very far from my apartment. This brand is not widely available in Malaysia unless we purchase it online. I have heard many good reviews about this brand especially their colored pencils range. In fact, I bought a new set of Master Series colored pencils recently but I will talk more about that in the next post. I am going to use it for a big art project I am planning to execute in quarter 2 of this year. It took me a couple of days to complete this drawing. The purple background was painted using watercolor pencils and once it dried I used watercolor markers and tempera paints for the shadings. Here are some progress photos. I didn’t manage to capture more photos because I simply forgot LOL! And of course, I uploaded this design as a coloring page in my Gumroad store. 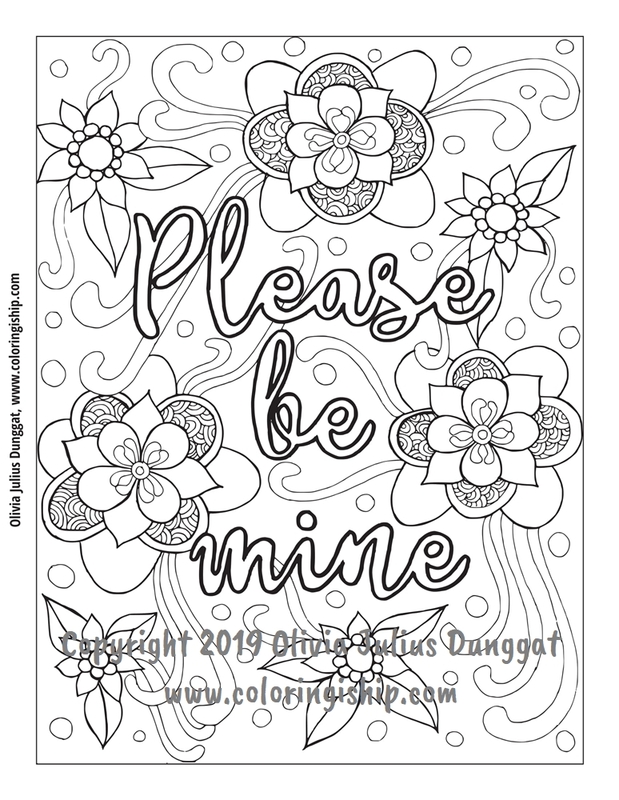 Here is the link to this listing: Please Be Mine coloring page.